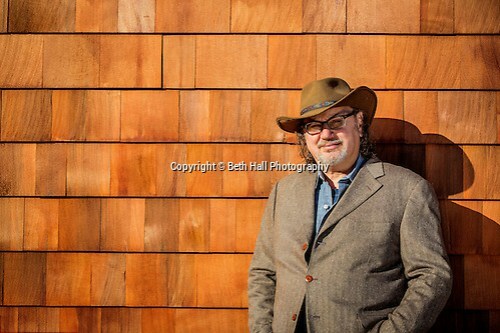 I recently photographed Fayetteville architect and businessman Mark Zweig. I was really excited to meet him since I’ve admired his homes for many years on my drives through town. I can’t help but like someone who is making my city look better a little at a time. For the shoot, I wanted to try to capture a look that was signature to the style of his homes. I immediately thought about the cedar shake that has been used on so many of his designs, and had the idea for the image above. Having an idea, and being able to do it are two completely different things. I’m glad we were able to find one of his homes that allowed me to create the shot. We also shot inside the home in a kitchen that made a cook like me jealous. It was clean, bright and beautiful… not to mention that the appliances were amazingly cool. I knew the photo was going to run across two pages so I played a bit with a 14mm… it’s not every day you get to use that lens for a portrait. I tried to play with the repetition of the lights and allow space for Mark to do his thing. I’m not big on posing people and it seems like most of the time things just fall into place.